Ray Gaines is used to keeping a cool head in crisis. As a former military rescue pilot, and now working for Los Angeles County as a helicopter rescue pilot, he regularly saves people from peril. His home life is painful, though. He is estranged from his wife, Emma, who has just started dating multimillionaire Daniel. His daughter, Blake, lives with Emma and is getting ready to leave for San Francisco. While Blake is in San Francisco with Daniel, the San Andreas Fault sets off a series of earthquakes, one of which is the strongest earthquake ever recorded. California is thrown into disaster. Around the same time, Blake is abandoned by Daniel. Hundreds of miles away from her parents, Blake tries to survive while her parents try to reach her. San Andreas is a disaster movie and not an adoption story, but here’s where I see some connection. Blake is not able to live with both of her parents. Although she does continue to live with her mom, she is also living with Daniel, a new potential father figure. When crisis hits, though, Daniel abandons her, and she must wait for her real parents to save her. It would be very possible for young viewers to come away from San Andreas with the unhelpful impression that your “real” parents are the only ones who love you, and new parents will just abandon you. This movie highlights bravery and parental love. One of my heroes, Mr. Rogers, said that, in times of disaster you will see some people running towards the danger to help. To him, it was encouraging to see that people can be brave, courageous, and selfless. Ray is one of those people. *Spoiler alert* It seems like Blake’s parents will get back together. They have fallen back in love as a result of working together to save her. She couldn’t live with both of her “real” parents until her “fake” parent abandoned her, bringing her “real” parents back together. I can imagine some kids in foster or adoptive families having fantasies along these lines, and I’m not sure that it’d be helpful to present a film where that’s what happens. *Spoiler alert* Ray and Emma’s split stems from the fact that their other daughter died when she was drowned under Ray’s watch. He is upset at himself because, although he saves people for a living, he was not able to save his daughter. Later, he almost watches Blake drown before his eyes, and for several tense minutes he works to resuscitate her. Although she does survive, at one point it seems as though she has died, and Emma cries out, “Oh, my baby!” Ray and Emma are finally able to talk over their feelings about the loss of their daughter Mallory. Ray says, “I know you didn’t blame me. I just didn’t know how to deal with Mallory’s death. It was my idea to take her rafting that day. It’s different when it’s your own kid. The looks she had when she realized I wasn’t going to be able to save her… It was harder coming home to you (Emma). I should have let you in. I’m so sorry I didn’t.” This powerfully captures how feelings of guilt can damage relationships even after a traumatic event has happened (like aftershocks!). At the same time, though, this theme, and a couple scenes in particular, could be very traumatic for young kids and for parents who have lost their children. We can be hurt by specific events, but also by our ongoing feelings of guilt about those events. Processing our feelings helps us avoid the ongoing damage of guilt and trauma – and that’s part of why therapy, or crisis counseling, or crisis debriefings are so important. 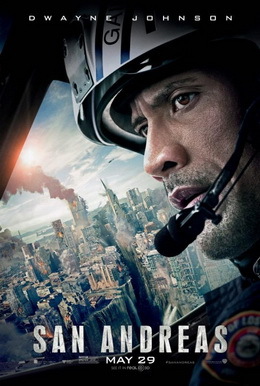 It’s a disaster movie, so there are lots of genre-appropriate screams, crashes, and scenes of peril. People die on screen. It’s what you expect from this kind of movie, but the chaos could be triggering for kids who’ve experienced and not yet processed real life chaos. Someone makes a joke that suggests that people can’t be family if they don’t look alike. 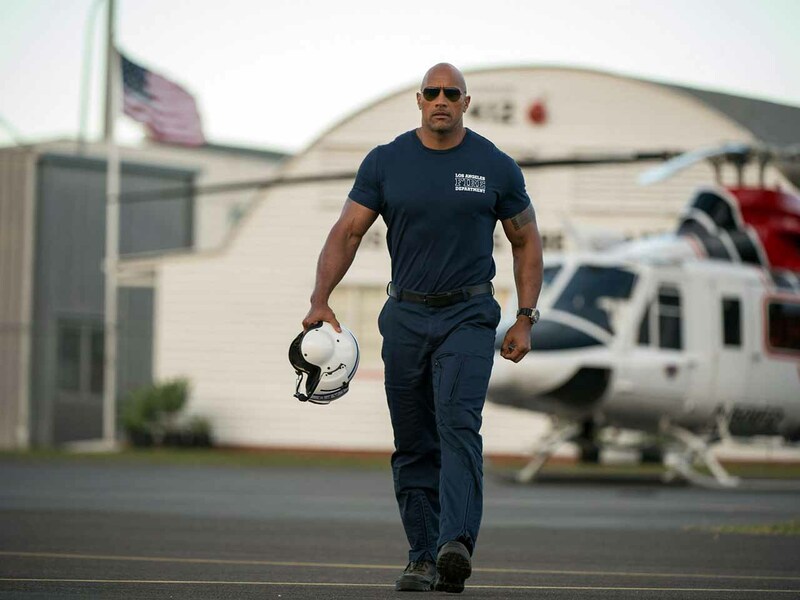 San Andreas will probably appeal to late teens and young adults. It does offer a way for parents to talk with teens about how losses impact our lives. The scenes of disaster that you’d expect from a movie like this make it a poor choice for many younger viewers, especially those who’ve experienced chaos or violence, and it might also be a painful movie for parents who have lost children. What’s the healthiest way you’ve ever dealt with a loss? The least healthy? What made the difference? Did Ray care for Blake more than Daniel because he was her biological father, or just because of the kind of person he was? How can we rebuild from trauma?